The way your brain learns a movement pattern is very specific. Learning a movement pattern is a biological process. The fastest way to learn the golf swing is by following RST's proven online learning system. Think about how you've learned other movements in life. Was it by following a bunch of random, conflicting tips? Then Why Would Golf Be Any Different? You learn the golf swing much like you'd learn anything else in life. I like to use learning how to drive a manual transmission car as a great example. When you first learned to drive, where did you do it? I imagine it was on a back country road somewhere or parking lot. Some place safe with few distractions and even fewer things to crash into. This made it much easier to focus on the seemingly impossible task of slipping the clutch while applying just the right amount of throttle. At first, it seemed like you would never get it. The car lurched, screeched the tires and stalled. But with some slow, focused practice you got. Now, imagine that you attempted to learn this same task while driving in the Indy 500? 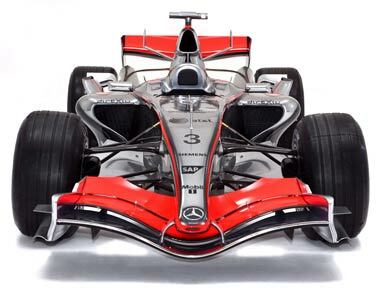 Cars whirring by at over 230 mph while you're just trying to get out of first gear. Needless to say, your first race would probably be your last. Taking a random golf tip you hear on TV or read in a magazine and then rushing out to the range or worse yet the golf course and attempting to perform this new move at full speed is just as futile as taking a new driver and putting them in a race. Learning a new movement for the golf swing needs to be done the same way you've learned everything else in life. You start with small, simple movements in an isolated environment. For RST students, this is typically indoors in front of a mirror with no club. Understand that your job is to learn a movement pattern, not to just hit a ball with a stick. When you learn to move your body correctly, the mechanics, position and plane of the golf club go EXACTLY where you want them to. In fact, almost all the drills on RotarySwing.com are designed to be done indoors, without hitting balls, without even swinging a club. Each drill is progressive. As you master the movement with just the core body, we then add your arms. 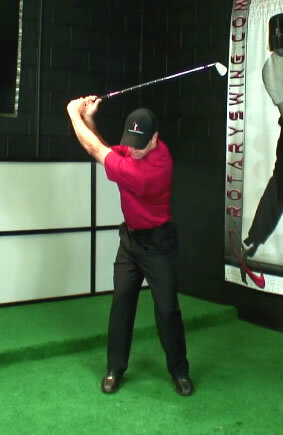 Once your arms are working correctly, we add the club, but upside down so you don't have to over come the momentum. Once that is perfected, we flip the club right side up, but at this point you're likely only using your lead arm. Once that movement is correct, we add the trailing arm. In this way, you work with the mechanism of how your brain actually learns a new movement pattern, all in the comfort of your living room. Once you can do the movemements correctly inside, now you're ready to head to the "race" and hit balls. You'll learn 10X faster working this way and make changes to your golf swing that you always thought were impossible. But with RST's revolutionary approach to learning the swing, you'll be hitting the ball like you've always dreamed you could. Some of Our Most Popular Videos While we already have hundreds of videos, we add new ones each month. I just wanted to tell you that I thank God, literally as my 22 year old daughter always says, that I found RST. Everything you talk about just nails all the problems I, and my son, have. I had basically given up ever improving again, but now I have hope for the first time in a long time. Rotary swing is turning everything I learned on its head and I instantly have a massive level of confidence in my ball striking ability. This is just over the last few weeks by practicing (as you advertise) in my living room with a mirror. I don't think I'm exaggerating when I say I look like Adam Scott now. Just wanted to say THANKS man! Revolutionary program that has brought my passion back for the game. This website set of videos are, by far, the most complete, logical, and mechanics-based instruction I have ever witnessed. KUDOS to all involved there. I am a 22 handicap and shot 77 this week - a 50 net. Blew the guys away. All due to what I have learned on your website.